This website was designed to provide high-quality information on growing fruit trees in a garden. 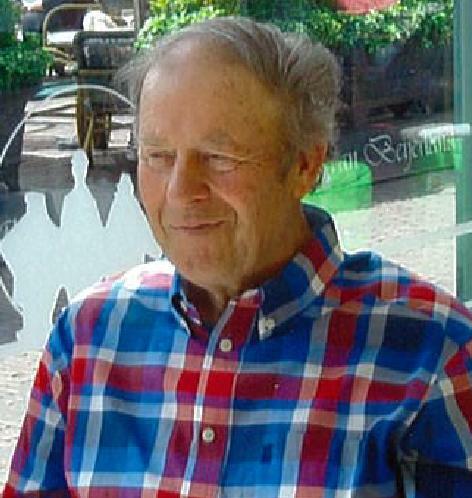 It presents the work of Dan Neuteboom, who is still actively involved in growing fruit and trees, applying the experience developed during his career as a successful fruit grower in Suffolk, UK, for well over 50 years. The lessons learned and the expertise that he gained by practical growing during those years are made available on these web pages, of interest to anyone interested in growing fruit successfully in a garden or a small orchard. The subject-matter developed includes a topic of particular interest today, the growing of cordons, espaliers or fan shaped trees along walls, fences or any form of arch-type structure. Some good-tasting fruit varieties are very suitable for training, others are not. Pollination requirements, which are essential for obtaining a satisfactory fruit set, will vary from variety to variety. But the most important thing to remember is that fruit trees are very site-sensitive. Lastly, pests and diseases can to a great extent be controlled naturally, without the use of artificial chemicals. This means by encouraging the activity of natural predators and the use of natural characteristics of resistance that can be found in specific varieties of apple, pear, plum and cherry. These topics will be highlighted and discussed throughout the year. Videos will become a highlight of this website, illustrating critical stages of fruit development, from the period from blossom to fruit formation, in a chronological sequence throughout the year. Click here to see the videos currently available. In short, it is an absolute truth, that trees do communicate with us as human beings. It is up to us to recognise this fact through careful observation, which enables us to interpret the behaviour of the tree to mutual advantage. There is a lot of free information on this website that will help growing fruit trees successfully. Click here for our interactive tree care index. In addition, Dan Neuteboom is available for on-line consultancy. Contact him at enquiries@realenglishfruit.co.uk. – advice on sourcing trees. This 2018-19 season was marked by higher than average demand for fruit trees. 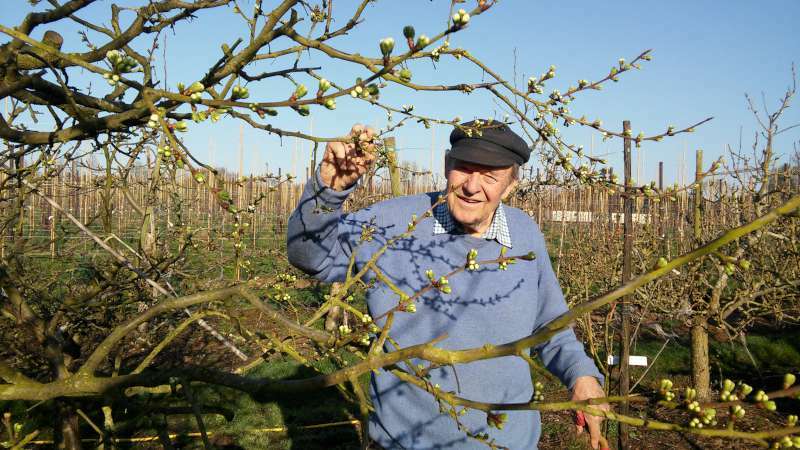 This was most likely been caused by the strong increase in the number of new homes and gardens, as well as the unusually warm weather experienced earlier in the season, which affected the fruit trees’ dormancy status. The sale of fruit trees on our website ended on Wednesday 20 March 2019. We hope that you enjoy our website, and we look forward to hearing from you. 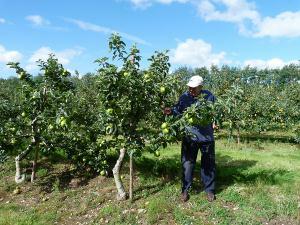 Contact us at Suffolk Fruit and Trees: enquiries@realenglishfruit.co.uk. We would like to provide three tips that are so important that we prefer to mention them right here on our home page. Firstly, any newly-planted tree should have a rabbit guard to protect the trunk from damage caused by hares and rabbits, but also by cats and dogs. The type of guard depends on the wildlife you have in your area. Secondly, the very best way to ensure that the trees get a really good start is – in the growing season, in other words from April to mid-September – to give each tree one or two full watering cans each week..
Our third suggestion regards wild flower meadows and their function in improving fruit tree cropping. We planted our own wild flower meadow several years ago, and we have seen how marvellous it is in providing a home for pollinating insects, above all in years of extreme climatic conditions. Just click here to find out more.